Easter time is so much fun and one event synonymous with this time of year is the Good Friday Royal Children's Hospital Appeal. So many people contribute generously each and every Easter to this very worthy cause and this year you can combine your contribution with a day full of family fun courtesy of the Mornington Hotel in Mornington. 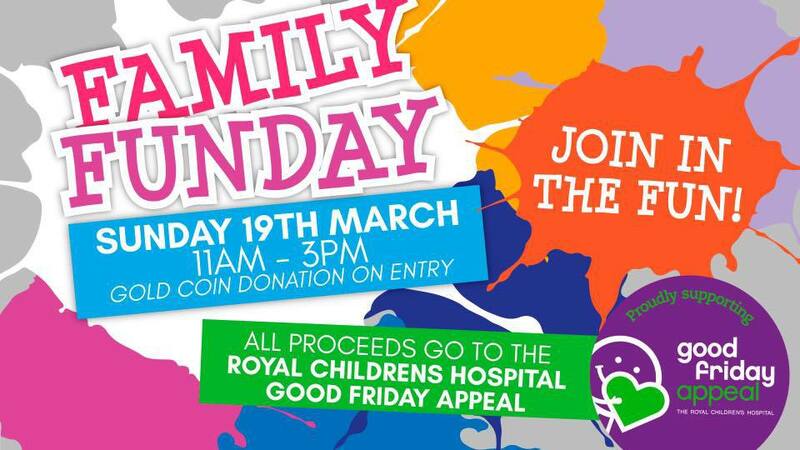 The Family Fun Day is being held on Sunday 19th March. Kicking off at 11am and running all the way through to 3pm there will be roving entertainment, balloon twisting with Twisted Tam, a jumping castle, market stalls, beverage tasting and food trucks on site, too. There will be silent auctions, raffles and giveaways with an opportunity to win a $500 Flight Centre voucher, a community display by the Mornington Fire Brigade, including a fire truck and mini market. Chase from Paw Patrol will be paying a visit, along with Elsa from Frozen. Enjoy something fresh from the grill at the sausage sizzle or sample something from the Street Feast Food Truck Beverage Tasting Stalls followed by popcorn, fairy floss and ice cream. Additional activities will include plaster mould painting for $5, access to the petting zoo for $3, have your face painted for $3, a bounce on the jumping castle for $3, a twisted balloon favour for $2, mini hair makeover for $5 or make a sand art creation for $3. Pay only for the activities you enjoy or purchase an unlimited activities pass for $20 and play all day. Entry is by gold coin donation and all proceeds will be donated to the Good Friday Appeal in support of the Royal Children's Hospital. The Mornington Hotel is located at 917 Nepean Highway, Mornington and you can find more about the Family Fun Day by visiting the Mornington Hotel website here.